But knowing that not everyone has safe access to cannabis-derived CBD, it dawned on me that I should have a better response. 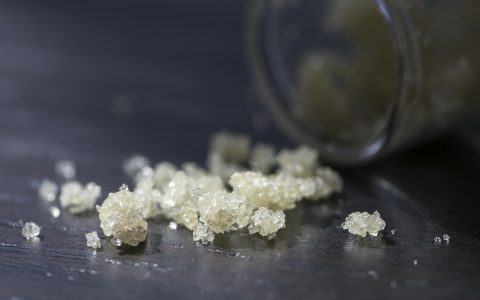 So I decided to track down a few different varieties of CBD isolate online and see if they’re worth the time, money, and hype. 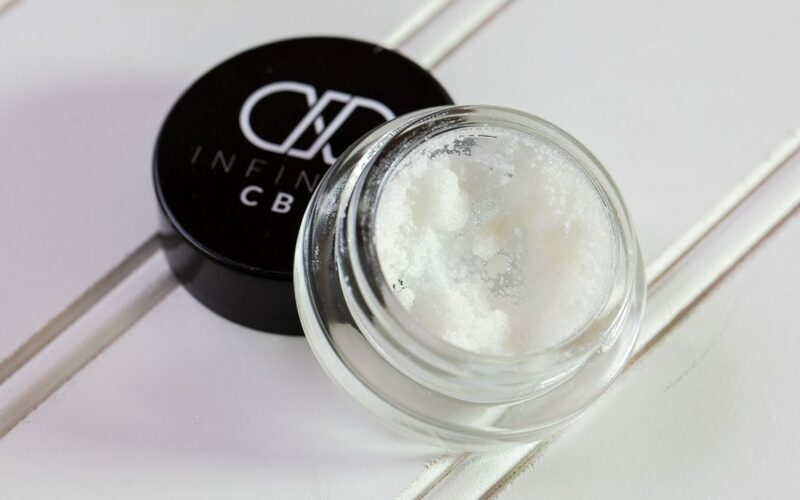 CBD isolate is a crystalline solid or powder that contains upwards of 99% pure CBD. 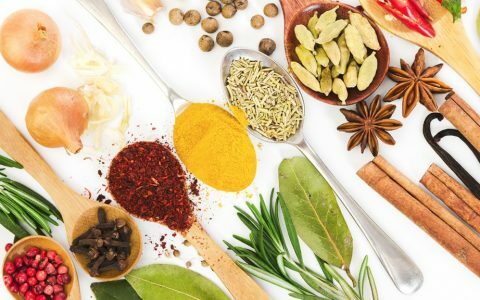 Medical patients most often ingest it orally or mix it into food or drinks. You can also smoke or vaporize it like many other cannabis concentrates. After shopping around and doing some research, I realized how difficult it can be to tell the differences between the products online. 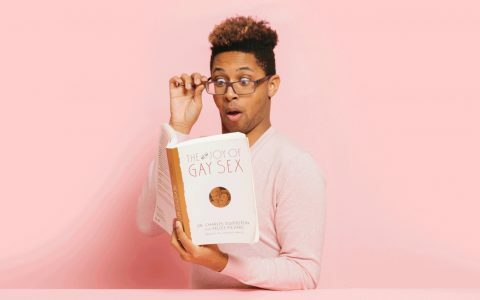 So, I tried a few products from three different websites—here’s how it went. I chose InfiniteCBD because I’d tried their CBD capsules before and was impressed by the quality. The fact that their CBD is extracted from domestic hemp grown legally in Colorado made the decision that much easier. I ordered their Absolute Zero isolate with OG Kush terpenes that Infinite claims are cannabis-derived. It cost $38 for the gram including shipping. In a few days, a nondescript package arrived. Inside was a small glass puck full of fine, crystalline powder with a few soft chunks that broke apart on contact. The smell of sweet citrus was strong—much like cleaning agents that use citrus extract—but it lacked the pine and gas notes that mark an authentic OG Kush flower. I question the source of these terpenes, but they were pleasant nonetheless. 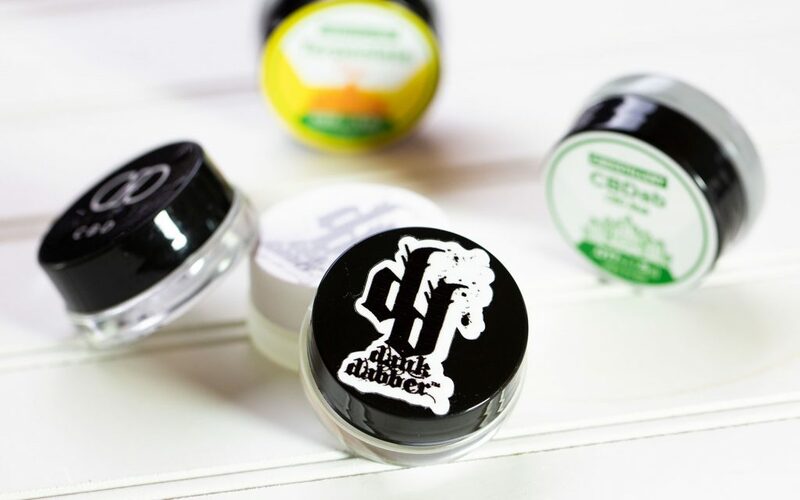 The dry powder is easy to work with and turns to a clear oil rapidly when dabbed or smoked. It has a unique medicine-like flavor to it, and coupled with citrus sweetness, it reminded me of a Flintstones chewable vitamin. It wasn’t a bad flavor, but I wouldn’t go out of my way to revisit it. I put a bit of the powder under my tongue and found the flavor to be much more enjoyable—though still not one I attribute to the natural flavors of cannabis. The effects were non-intoxicating, but my mood was lifted by light bliss, focus, and just a touch of stimulating mental energy. I ordered two CBD isolates from Dank Dabber, who is local to the Seattle-area and I was curious to see how quickly they’d arrive. Dank Dabber makes great dabbing accessories, so I figured their product would be geared towards consumers who want to dab, like myself. My order arrived the very next day: a small one-gram slab of CBD isolate ($30) and a terpene-infused isolate that featured Blueberry OG and GSC flavors ($50). The first isolate was an opaque white slab that was stable and shatter-like. It was dry to the touch and easy to break into single-serving doses. There were no added terpenes or noticeable aroma in this isolate, and the resulting flavor was bland. The Blueberry OG/GSC isolate was chunky and crumbled, much like the THC isolates I’ve tried before. The aroma reminded me of a Ricola cough drop with a spicy, herbal, almost sour scent. The flavorless isolate delivered calming, mellow effects while the terpene-infused isolate offered an invigorating cerebral jolt. 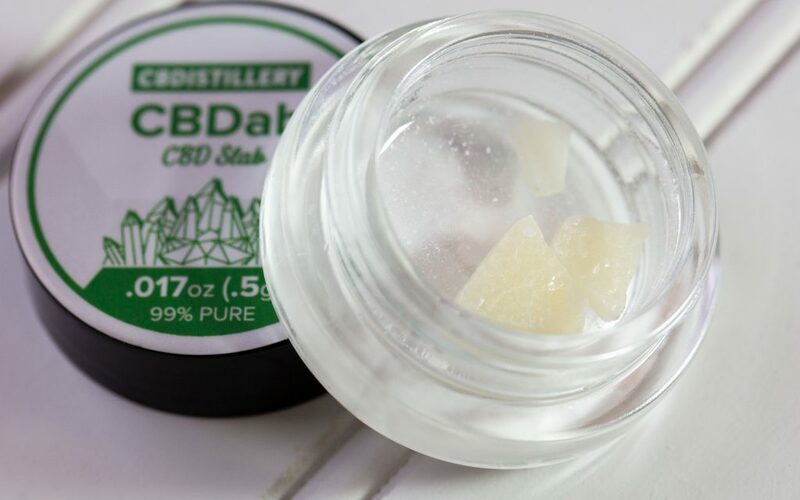 The final stop on my CBD journey was The CBDistillery, from which I ordered two more CBD isolates: a stable half-gram slab of refined isolate and a chunky Tangie Terpsolate. The unflavored slab had almost no aroma except for a slight earthy sweetness. When dabbed, it had a classic cherry medicine flavor that I’ve come to expect from high-CBD products. The sweet flavor was really apparent at low vaporization temperatures, but had a bit of a chemical aftertaste that was off-putting and more pronounced with hotter temperatures. 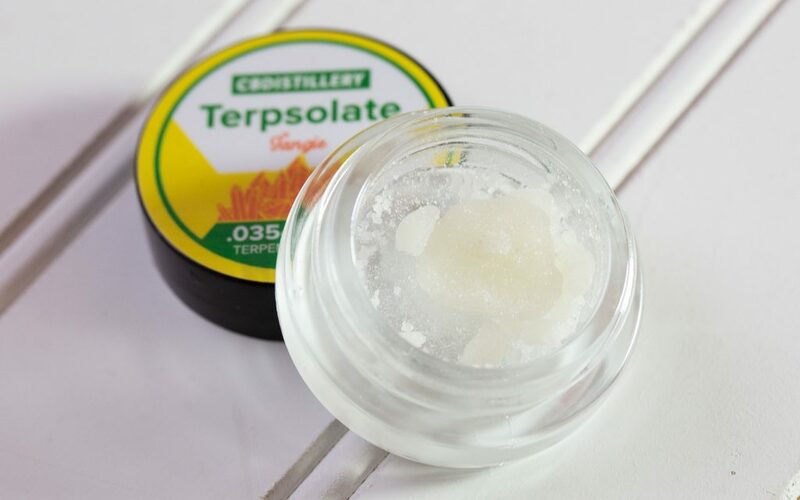 The Tangie Terpsolate had a soft quality to it, thanks to a healthy soaking of terpenes which made it easy to break off the right dose without turning into dust. Its sweet, citrus flavors were pleasant and exaggerated, but lacked the complex earthy qualities of native cannabis terpenes. While it wasn’t exactly what I’d look for in a dab, the orange flavor was nice when dosing orally or adding a little to my drink. 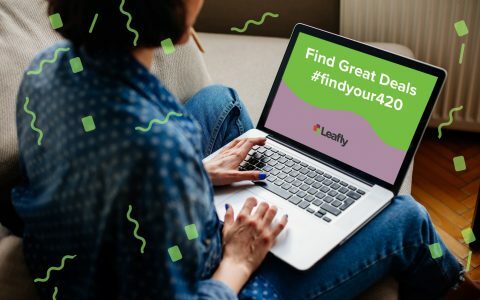 All in all, hemp-derived CBD from the internet does have its place in a cannabis routine, but I still prefer the complex flavors and full-spectrum effects that CBD-dominant cannabis has to offer. Does it work? Yes. Can you enjoy a flavorful smoking and dabbing experience? Sort of, but not if you’re looking for authentic cannabis flavors. 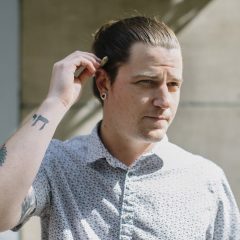 If you’re going to purchase CBD isolate online, keep in mind that most terpene profiles you’ll encounter are exaggerated at best and more likely synthetic or extracted from sources other than cannabis. 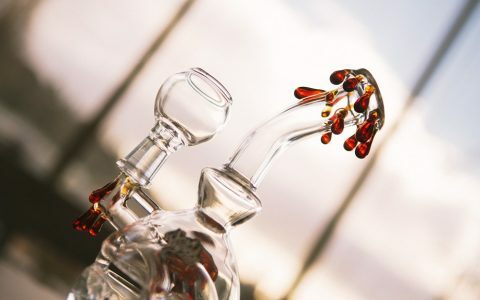 The flavored isolates are useful for oral and edible dosing, so that’s a plus for those who prefer those consumption methods over dabbing or smoking. When dabbed or smoked, these isolates provide instantaneous benefits of CBD. 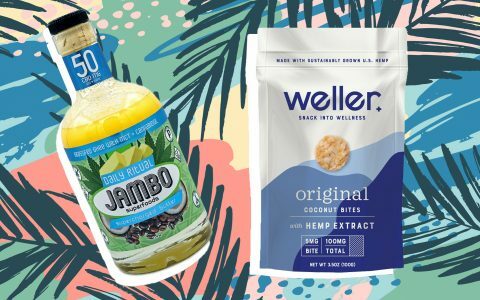 If you’re unable to purchase cannabis-derived CBD where you live, this could provide a nice alternative path to wellness. For me, personally, these CBD isolates are not really my thing. I might add it to large joints to add balance and curb the intensity of THC, but otherwise I think there are more enjoyable ways to enjoy CBD—especially via inhalation.